Karratha is the heart of Western Australia’s Pilbara region, a place known for ancient landscapes and an almost desert climate. The famous Kelpie known as "Red Dog" wandered the area in the seventies, later inspiring a Louis de Bernières novel and feature film of the same title. Named after the Aboriginal word for "soft earth" or "good country", Karratha is a thriving centre for mining and industry. 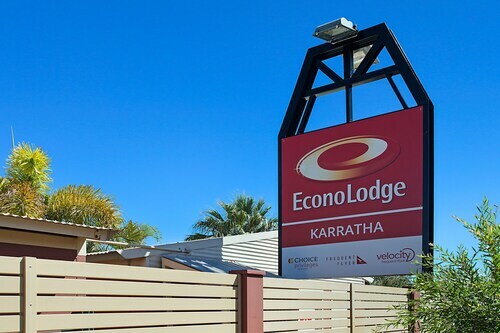 Whether you’re coming here for work, a holiday destination with year-round sunshine, or a place to stay while you explore the Pilbara, we have your Karratha accommodation here. Karratha and the West Pilbara are the traditional home of the Ngarluma and Yinidbarndi people and the region has over 40,000 rock engravings. You can find many of them at The Burrup National Park, located between Karratha and Dampier. Stop by the Karratha Visitor Centre if you want to learn more about the area’s Aboriginal heritage. You can even purchase local works of art while you’re there. Interested in finding out what keeps Karratha booming? Book a Rio Tinto tour for an inside look at how the region’s mining and resource industries operate. If you’d prefer some serenity, take a 25-minute trip to Hearson’s Cove to catch The Staircase to the Moon, an optical illusion that happens on the coast of northern WA from April to October. The moonlight reflects on the mudflats during low tide and looks like an actual staircase. Karratha isn’t known for its nightlife but it does have a few bars and clubs such as The Karratha Tavern, which has live bands and DJs on weekends. There are a number of places to eat ranging from coffee and sandwich shops to Chinese food and pizza. Centro Karratha is the region’s largest shopping centre and features over 50 stores including a Woolworths, Coles and Kmart. It’s the best place in the Pilbara to find a bargain. Feel like some exercise or need a cool swim? Head to the Karratha Leisureplex to use the pool or gym equipment. Karratha is a handy place to stay as you set out to explore the rest of the Pilbara. See the gorges, canyons and rockpools of Karjini National Park and Millstream-Chichester National Park, or head to the Dampier Archipelago, 42 islands off the coast of Dampier perfect for swimming or just taking it easy. Sound good? Book your Karratha hotel with us and get ready to feel the heat. How Much is a Hotel Room in Karratha? 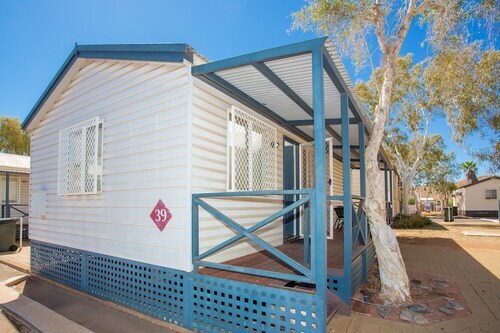 Hotels in Karratha start at AU$73 per night. Prices and availability subject to change. Additional terms may apply. Great value for money - in an otherwise expensive town. Bargain price - neat, tidy and semi-self contained with free laundry (and powder) and BBQ area. On-site staff were very helpful.